A friend posed a question a couple of days ago as he had been invited to teach a group on the subject of “What is Faith?” By inviting me to his discussion he modeled wisdom for me by soliciting input from a brother in Christ to better inform his teaching. This is something we too often fail to do when approaching a teaching opportunity. I won’t go into all the psychology of that dynamic here, but suffice it to say that I was sufficiently impressed with his invitation, that I took time to respond with more than simply pointing him to Hebrews 11:1 which provides us with straightforward “go to” simple answer to the question. My response was graciously well-received and I thought I would share it here for further discussion and feedback. It may serve you well to have a Bible nearby to look at the book of Hebrews chapters 10 and 11 as you think through these thoughts. You posed the question, “what is faith?” as you told us about your teaching opportunity. That is a great question and I have no doubt you will lead the group well in discovering a vision for faith. While Hebrews 11:1 gives us a definition, “Now faith is the assurance of things hoped for, the conviction of things not seen.” I think it is interesting that those translations make a conscious effort toward literal translation (KJV, ESV, NIV, NASB, etc.) all begin this verse with the word Now. Such a beginning of a definition draws us to what preceded this definition. I believe we must then go back to Hebrews 10:19 and begin reading the context for chapter 11. I see some key phrases as I look at this passage. v19 – we have confidence, v22 – let us draw near with a true heart in full assurance of faith, v23 – let us hold fast the confession of our hope without wavering. Then beginning in verse 32, the writer calls the readers to remember how they responded to challenging life situations after they were enlightened. These days our culter sees enlightenment as wisdom to know that Scripture is not the Truth. But biblical enlightenment draws us to the work of Jesus in the shedding of His blood for our human sinful natures. Without the chapter division that was arbitrarily inserted into the flow of the letter, that same thought carries on to say, “Now faith is the assurance of things hoped for, the conviction of things not seen. For by it (faith) the people of old received their commendation.” Chapter 11 moves forward to discuss faith in action by the heroes of the faith, Abraham, Moses, and others. True faith will draw us to live confidently with our confidence being placed squarely on the One True God. It is taking action with total confidence in God and taking God at His word. So, I take from these passages that faith is the conviction that we serve a faithful god and that He will restore, to those who truly believe, a world as He originally designed it to be, a new heaven and a new earth, vastly different from the decaying and sinful world we occupy today. We have faith in that world which we cannot see today. Some years ago, a friend asked me if I was certain there was a heaven. I said yes I was. He said can you prove it. I said that’s why we call it faith. We have faith in the word(s) and promises of our Creator, Savior, and Comforter (Father, Son, and Holy Spirit). I am hoping that thoughts along these lines will open up the discussion. One of the shortcomings in our society is that we go to church and retreats and Bible studies hoping to hear answers. We are not often challenged to think through the reason(s) for our beliefs and our faith. We need to be like the Bereans who searched the Scriptures to make sure they were hearing the truth. Perhaps this will give others opportunity for meditating on God’s word. This is a posting of an article written by Matt Walsh for Daily Wire yesterday. Walsh so well articulated why it is nearly impossible to view the troubles of this world and the macro activities of nations and politicians without taking God and His eternal purposes into account. I’ve taken the liberty of reposting his article here because it is something I want my children and grandchildren to always keep in mind as they view their world. If we take the Scriptures seriously, we need to understand the forces that are at work in our world today. As the image says, our battle is not with people. 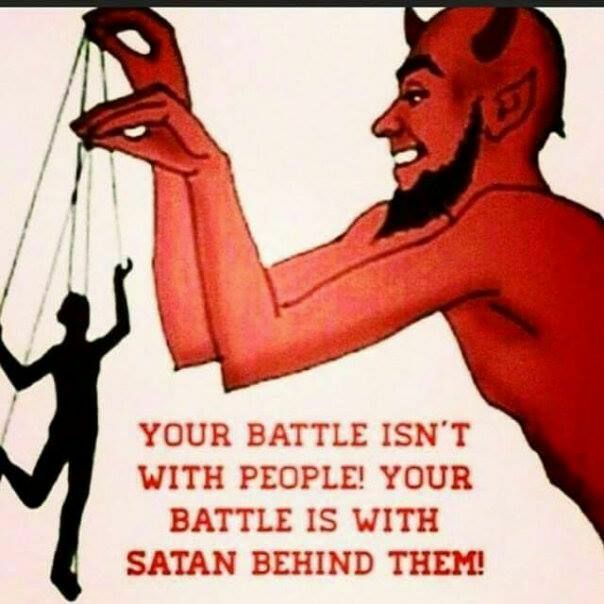 Our battle is with the forces of satan who is manipulating the people. I am convinced that if we saw this world as God sees it, we could do a better job of loving our neighbors while recognizing the real forces that are driving their attitudes and behaviors. One of the most common complaints I hear from readers is that my writing is too religious. Borrowing a phrase from an email I just read, I am guilty of “injecting religion into everything.” I need to “tone down the religious talk,” according to a guy on Twitter. “Please cool it with the Jesus stuff,” someone else recently told me. I was informed by many people that the piece I wrote last week about fathers was “ruined” because I “brought God into it.” Some of the commenters here have given me the moniker “Pastor Walsh,” because only pastors talk about religion, I guess. I have even noticed, unsurprisingly, that many of the people who lodge these complaints often declare themselves to be Christian. In America today, nobody hates hearing about Christianity more than a Christian. Rather than ignore these criticisms, I thought I might try to explain why I don’t plan on toning it down. In fact, I’m headed in the opposite direction. The reason is very simple: I really do believe this stuff. I have often been pretty bad at living and acting according to my belief — I am no expert when it comes to following the teachings and making all of the sacrifices a Christian is called to make — but no matter my personal weaknesses (which are many and daunting), I still believe it all. When Scripture says we are fighting not against “flesh and blood” but “the powers of darkness,” I believe it. And when it says that the Devil is prowling the world “like a lion seeking someone to devour,” I believe that, too. And when Revelation tells us about the war between Michael and the angels of God against Satan and his minions, I believe exactly what it says. I have sometimes wished that I didn’t believe any of it. I have even had terrible times in my life when I have tried not to believe it. But I still do. I believe it for the simple fact that it is true, no matter how I happen to feel about that truth. It just is. That’s all. We are in a spiritual battle. No topic really matters apart from this deeper spiritual truth. The political arguments are only significant to the extent that they are manifestations of the underlying spiritual war. Every meaningful debate reflects, in some way, the eternal battle between Good and Evil. To ignore the eternal and focus entirely on the temporal seems not only dishonest, but also dull and boring. We are in the midst of a war between the powers of Heaven and the armies of Hell, and these people want to just talk about politics? That’s like if aliens invaded Earth on the same day that a new Star Wars was released, but nobody paid attention to the aliens because they were more interested in watching the movie. So, one way or another, whatever we do, whatever issue we discuss, whatever argument we have, we are aligning ourselves either with Him or him. That seems a relevant fact, and should probably be mentioned as often as possible. There is an entire mountain beneath the surface of this island. Without the mountain, it would be just a bit of sand floating in the ocean, easily swept away and forgotten. That is how an atheist sees human existence. As Christians, we know better. Speaking of atheists, I understand that they will laugh when they hear this kind of talk about God, spiritual war, angels, demons, and so on. They really have no choice but to react that way. If God is not true, then He is ridiculous. To treat Him as anything less than ridiculous is to admit that He might be true. The sneer of an atheist doesn’t bother me and never has. Sneering is their only defensive mechanism. I don’t hold it against them. I pity them. I pray for them. They are miserable and stubbornly holding onto their misery. The problem is that many Christians try to stake out a similar position. But that position isn’t actually available to us. They want to admit that all of this spiritual stuff is true, but then relegate it to the background. They want to say they believe in God, but there is no reason for God to “come up.” They want to acknowledge the eternal with a dismissive wave and then get back to the business of ignoring it. As I said at the beginning, I understand this inclination. I have felt the inclination. It can be scary to think about these things. Especially if we are living deep in sin. Indeed, even the virtuous cannot help but tremble in fear when they contemplate themselves standing before the Heavenly Throne. But the fact remains. And it is a massively important fact. It is the fact upon which every other fact is built. It is the fact that every fact leads back to. It is the tree that holds every branch. There is a whole side to existence — the more real, more solid side — that we cannot see, though the beings on that side can see us. They not only see us but act upon us. They attack us, or help us, or hurt us, or heal us. Every moment of every day there are legions of demons and legions of angels fighting over you, personally. You are in the middle of a great battlefield, and you are the prize the two sides are fighting over. Indeed, you are the battlefield, in a certain sense. They are waging this war inside your soul. And when you die, which could be literally any moment — and will certainly, in the grand scheme, be soon — you will either join the angels in Heaven or be consumed by the demons in the darkness of eternal oblivion. We must believe this if we are Christian. And if we believe it, how could it not dominate our thoughts and our conversations? But, yes, we can “tone down the Jesus stuff” if we want. And if we keep trying to “tone Him down” in our lives, there may come a time when we really succeed. We may enter a place where Jesus is silent forever, and nobody speaks His name. We will have finally gotten what we wanted there. And I think, now that it is too late, we will realize that we do not want it anymore. So please don’t ask me why I write about God. Ask me why I ever write about anything else. In these days of tensions created by an on-going polarization on many fronts, I’ve been struck by the need to return to my roots of leaving breadcrumbs of truth for the generations that follow. I love leaving nuggets of truth behind so that others might be able to find their way back to the Truth. The analogy of footprints in the sand breaks down quickly as sand is quickly blown by the wind of the day and washed away by the waves of the sea. The truths we leave behind must be eternal and able to withstand the pressures of societal shifts. We just celebrated the birth of the Christ child but some 700 years before Christ came into our world, the prophet Isaiah shared the following words of eternal truth from God Himself. “For the LORD spoke thus to me with his strong hand upon me, and warned me not to walk in the way of this people, saying: “Do not call conspiracy all that this people calls conspiracy, and do not fear what they fear, nor be in dread. But the LORD of hosts, him you shall honor as holy. Let him be your fear, and let him be your dread.” (Isaiah 8:11-13) This is eternal truth that seems particularly appropriate in our day. Let’s not allow the debates and accusations that weigh so heavily in our public square cause fear in our hearts. These will have little consequence in matters of eternal significance. Our world is looking for truth and people are grasping at statements by men and women of notoriety who are knowingly working diligently to manipulate the opinions of ill-informed people, who are looking to have their ears tickled, counting on their lack of a firm foundation. As God’s people, we are called to look to “the LORD of hosts” for our confidence, trust, and truth that really matters. Even in the past year, we have seen views on behavior that disrespects women swing from immediate retribution and calls for justice, as defined by some editorial writer, to a belief that maybe we’re being too harsh. This media indignation has taken out some of the best spokespersons of the humanistic worldview agenda, so now we are hearing suggestions that we need to rethink our system of retribution. We must remember that eternal truth is not swayed by the influencers of public opinion. Eternal truth is not subject to a vote. At times we behave as though our very survival depended on the next election. Yes, we want to see biblical values upheld by those who are elected to office. But our future is not dependent on who wins an election. Regardless of who is in office, we are to honor them and be lights representing the Christ who we celebrate at Christmas time. After Jesus began His ministry, He gave us advice by comparing the wise man who built his house on a rock and the foolish man who built his house on the sand. The life built on sand will be blown about by the ever-shifting winds and storms of society and public debate. The wise man who bases his life on the solid rock of God’s eternal truth will be able to stand firm in God’s world and economy. Those truths do not change with societal mores nor with public opinion. Let’s follow the instruction of 1 Peter 2:17, “Show proper respect to everyone. Love the brotherhood of believers, fear God, honor the king.” Think about these eternal truths. The Philippians 4 passage is given in the context of our anxieties, our anxious tensions, our inner turmoil and lack of peace. The preceding sentence reads, “The Lord is at hand, do not be anxious about anything, but in everything by prayer and supplication with thanksgiving let your requests be made known to God.” The Lord is near, so, do not be anxious about anything. When the Lord is near, our anxieties fade and we can have peace in any situation. The 23rd Psalm is one that calms the soul. The Lord is my Shepherd, I shall not want. He makes me lie down in green pastures, He leads me beside the still waters. He restores my soul. There is a word picture in the book of Revelation showing that in front of God’s throne there is a sea like crystal, smooth like glass, so calm, no storms. I mentioned in Breaking the Code v. 5 on prayer that I frequently used my commuting time to talk with God. Better said, I would dump all the issues of the day and complicated relationship challenges on Him. His Spirit would very often respond with pieces of Scripture that would both let me know that my God was listening and He would calm my heart by giving me God’s perspective on my turmoil. The perspective of the Christian who considers it all joy when he or she encounters various trials (James 1) comes from a worldview that has Christ and the truth of his word in the center. Without this perspective, the peace that surpasses all understanding (Phil 4:7) is elusive and generally non-existent. The storms rage around us and we need God’s help in the form of bringing people into our lives to express God’s love for us. We serve a living Savior who wants to be active in our lives. All we need to do is to invite Him into our world. If Jesus can calm the wind and the waves of the sea, we can count on Him to calm our hearts and our spirits. We’re not talking about yoga stillness here. Yoga is something we conjure up internally through posturing, breathing deeply and thinking good thoughts. The peace of God is that comfort of knowing that the God who made the heavens and the earth loves us enough to give Himself up for us. (John 3:16) Our God tells us to cast all our anxieties on Him because He cares for us. (1 Peter 5:7) It is the peace that comes from knowing that we are loved … unconditionally. The desire of every human is to be loved. We live in a broken world and complete unconditional love, even between husband and wife, is rare. I love my wife and tell her of that love as often as I have the opportunity. She loves me even better than I am capable of loving her. But we have this agreement between us. It is our desire that both of us will love God first and foremost, and then we’ll be able to love each other well in second place. Living in God’s love helps us to have His love flow through us to each other. This works because we both have the same source of unconditional love. 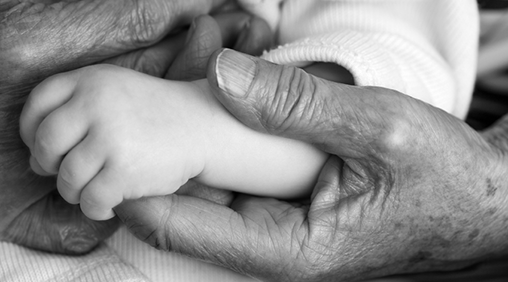 So, what is our takeaway on the peace that is available to those who are God’s children? We are not of this world, and the cares of this world that might otherwise weigh heavily on us, should be given to the God of the universe for resolution. Use the vehicle of prayer that Jesus Himself used when He was on this earth, to talk directly with the Father and ask that His will be done on earth (in our world) as it is in heaven. This peace is beyond the comprehension of most people in our world. It is a precious gift that God has promised to those who love Him and trut Him. Sharing another post that is worthy of consideration. Living the unexamined life leads to making the same mistakes over and over but still expecting different results. Some would refer to that as insanity, but then, that would mean there are a lot of insane people in this world. My belief is that many of us live our lives without looking at cause and effect, or looking for help in those areas where we are weak. Today’s post was written by Jason Helopoulos, an associate pastor in East Lansing, MI. He challenges us to consider things that are of eternal consequence. Living without thought is one of the greatest errors men make. As Socrates once stated, “The unexamined life is not worth living.” Christ could have uttered the same words as an introduction to the parable in Luke 16 concerning the rich man and Lazarus. If we would live for God, we must consider our living. In the parable, the rich man simply goes about his day. It is easy to do. We busily engage in our work, families, recreation, rest, and duties. And all the while, we are distracted. None of these things are bad; in fact, they are quite good. But subtly and simply, our adversary has distracted us with the cares of the world. The immediate takes priority. We live for the moment. The peril of such living manifests itself as the rich man loses everything, even his very life, for lack of considering it. This rich man is enjoying himself. There is nothing wrong with a good meal and some nice clothes in moderation. The problem is that he lives for these things. They have taken over. The rich man lives for self. And he doesn’t see it. Sin often makes us blind to our own folly. Yet, if a lawsuit were brought against us, we would ask our lawyer, “Will we win this case?” If we stood as a defendant and the death penalty was a possible sentence, we would anxiously desire to know whether guilty or not guilty was a likelier verdict. If we are sick, we ask our doctor what the likelihood of recovery is. If we are scheduled for invasive surgery, we ask the surgeon about the chances of survival. And yet, some of us think little to nothing of our eternal soul. Why? Because we live in the moment. Eternity is not in view. And the awful truth is that we will lose everything because of it. This parable is clear—everyone dies. It is not a matter of if, but when. Everyone will suffer death. Some will retire. Some will have kids. But all, every single person, will die. All must face it. It is the great equalizer. There is nothing like it. It unites us all and strips us all bare. We can’t use our influence, power, position, or riches to avoid it. It comes. And when it comes, our destination is immediate. Notice what Jesus says in Luke 16:22–23: “The poor man died and was carried by the angels to Abraham’s side. The rich man also died and was buried, and in Hades, being in torment.” There is no in-between, no holding ground, not a hair’s breadth between “he died” and “he went.” When they die, they go. Jesus said to the thief on the cross, “Today you will be with me in paradise” (23:43). Death is not only immediate, it is fixed. Death seals our fate. There is no purgatory, no second chance, no further opportunity. May we not let another minute pass without examining the state of our soul. Eternity truly hangs in the balance. A Neglected Grace: Family Worship in the Christian Home. This is not going to be a popular post because it has little to do with the junk that is filling social media, but everything to do with things that are of lasting importance. As I’ve studied the Scriptures and the life of Jesus, I find that he rarely mentions what is going on with the Roman governors. He had no comment on the horrific way they treated people or the good things they did. Those issues were not why He came to this world. He came to this world to help us see God and to provide a way for us to receive the gift of salvation. I believe that there are believers with a variety of perspectives because of the environments in which we were raised. Still, God’s word is faithful and true. If we could only press ourselves to pursue God’s perspective in all aspects of life we would not be swayed by this pastor or that pastor who are so easily led by public opinion. He tells us to love our neighbors and our enemies. Jesus said, “Love your enemies and pray for those who persecute you, that you may be sons of your Father in heaven.” (Matt 5:44-45) Our goal in life is not only to have faith that secures eternal life for ourselves but to live in such a way as to give light to others who are also looking for that relationship with the One True God. Jesus talks about the anger that is being expressed in our world this way, “But I say to you that everyone who is angry with his brother will be liable to judgment; whoever insults his brother will be liable to the council; and whoever says, ‘You fool!’ will be liable to the hell of fire.” (Matt 5:22) To be sure, Jesus got exasperated with people who were desecrating His Father’s house by selling trinkets in the temple courtyard. He was so angry that He overturned the tables containing their merchandise and threw them out of the temple. (Matt 21:12-16) That was an anger that was righteously motivated and proved that God, Himself, does get angry. The anger we are experiencing in our world is far from such a holy anger. We tend to get angry over things with which we disagree. We need to learn to contain and reserve our anger for those things that matter to God. We should be constantly seeking to avoid the judgment of an angry God. In our colloquialisms, we sometimes infer that we have put the “fear of God” into someone. Our society would do well to have a healthy dose of the fear of the God they have banished from our schools and are banishing from our government. The kind of fear that is a reverent respect and awe for His sovereign power and righteous holiness. This gives me pause as I reflect on the rhetoric of today by some of our Christian leaders who want so desperately to be relevant. In so doing they never have the opportunity to share, what John wrote about in the book of Revelation as, the eternal gospel. (Rev 14:6) This gospel is of utmost importance to every man, woman, and child and contains the Truth all men are seeking. Some may scoff at this simplified perspective but, as Christians, we have to learn to keep the main thing the main thing. We have to remember that our purpose here on this earth is to spread the eternal gospel in such a way that it is magnetic and facilitates rather than hinders God’s work of drawing all men to Himself. Just a few thoughts for the day. The last couple of entries posted here have been shared posts from other folks whose blogs I follow. The more I read, the more I see and know that others have insights worth sharing here for my posterity. Most of us will have a posterity. Our posterity is that future generation which emanates from us, our children grandchildren and their children after them. Our posterity will look for clues that would help define us long after we’re gone. I have spent some time understanding how my ancestors led their lives. I know that I am responsible for my own decisions, but we all have leanings and tendencies. Understanding my ancestors can, at times, help me understand how my family adopted the values and worldview with which I was raised. God understood the importance of teaching truth to one’s posterity. 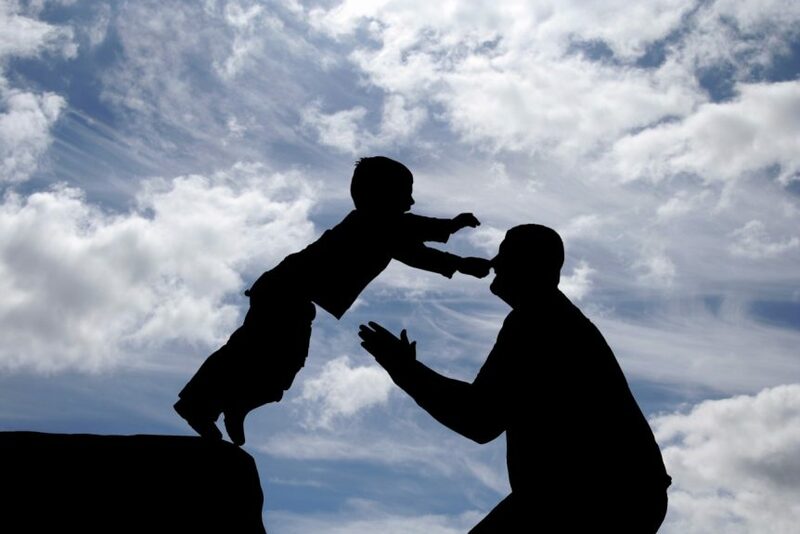 In the book of Deuteronomy chapters 6 and 11, we see these words, “teach them diligently to your children,” and “teach them to your children.” The concept of teaching truth to our posterity will plant tendencies and leanings in their hearts. Proverbs 22:6 tells us, “Train up a child in the way he should go; and when he is old he will not depart from it.” So, in these passages, we see that God understands the importance of legacy and the promise that our posterity will look back to our generation for understanding. These days we refer to the reputation we leave for those who follow us as a legacy. Our posterity will look back to our legacy for instruction and a baseline of those things we held to be truths for our lives. I like to think of it as “paying it forward” or a gift to my grandchildren and great grandchildren, including those I will never meet this side of heaven. The money we leave behind will provide short-term blessing and perhaps cover a few bills. The legacy we leave for our posterity will give them a foundation on which they will build their worldview or system of truth. What happens in the event that the early years of our lives weren’t something that you’d want them to emulate? It is never too late. I had an uncle who accepted Christ in the final days of his life. Upon making that decision, he called his boys, who were already grown men, to his bedside and told them about a wasted life and implored them to take a different path. That single conversation changed the future for those men and their children. Granted, not all stories end so well, but God planted in my uncle the thought that this was a nugget of truth that must be passed along. Too many of us view our faith as a private matter, and so, are reluctant to discuss such things with others. Christ taught us to let our lights shine among others so that they too might believe. Life is like a train rolling down the track. We all need the voices of people in our lives who will let us know there is trouble ahead. Sometimes it is a friend, many times, however, it is the voice of a parent calling across the years, a voice we long to hear once again. The other day a family member was feeling stress and I was able to share with my posterity a song that my mother would sing in times like these. Even though she is no longer with us, her voice and her solid foundation of faith still serve as an encouragement to me and my family. I’m engaging in this blog so that one day my posterity will have something to look to as a reference point for what Papa would think or say during a particular situation. I’d encourage all of us to find ways to leave bits of wisdom and legacy for our posterity.